In Noh, a classic drama of Japan, actors wear masks to show different facial expressions. 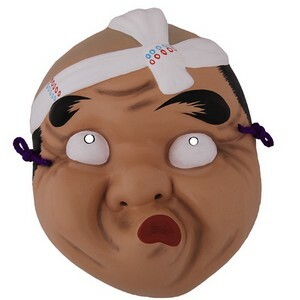 This mask portrays the comical stubbled face of a peasant with protruding lips (often paired with the female Okame mask). This mask is designed as a wall decoration and is a not suitable for wearing. Made in Japan.